Book Description: My Purpose for writing this novel is to bring generations of women together. My goal is to build a sense of camaraderie that resonates with women of all ages. For the older generations this novel acts as a time capsule. The novel is filled with so many emotions that the reader will laugh, cry, and feel as though the characters have come to life. As for the younger generations, they are able to learn some of life’s lessons and know that other women have gone through similar circumstances that they may be experiencing. Book Excerpt: He hugged me tightly for so long I wondered if he’d ever let me go. Our cigarettes developed the longest ashes I ever saw. As mine finally fell to the ground, I was reminded of how quickly I fell for Johnny and how our relationship had been burning for the last three years. Eventually, we, too, like that ash, would fall. We would end up a memory of something that burned so deeply into our souls and it too would eventually turn to ash. Katie L. Oslin will be awarding a $50 Amazon or Barnes and Noble GC to a randomly drawn winner via rafflecopter during the tour. About the Author: Katie L. Oslin is a Midwesterner who started writing diaries, poetry and many short stories at a very young age. As a newly published author THE DETAILS OF MY REALITY is her first novel. She is also a wife, mother and bachelor’s prepared registered nurse. Living on the coast of North Carolina, she frequents the beach and finds inspiration in the sound of the waves and the solitude of her surroundings. Thank you for hosting! 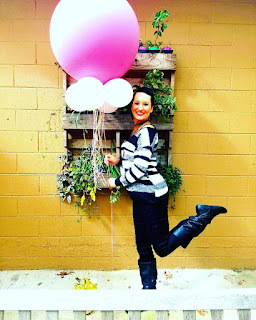 I'm very excited to be featured on your blog. hello again Lisa! Welcome back! Thanks and good luck! Here's another reason why I like following authors on tour; I find books I would not ordinarily find without taking a chance on reading a title and a little brief before the tour begins. I'm a senior citizen and not your target market and I read mostly historical romances so I shouldn't be attracted to a book geared to the YA market. But what they hey? It sounds like a story that can bridge the ages. Thanks Karen!It's a pleasure to have you here today on the blog! And you're absolutely right. #TheDetailsofMyReality truly is. My 80 something year old grandmother read it and could relate as well as my friend's fifteen year old daughter! As women I think we often take very similar journeys and bare similiar scars. Thanks Victoria! 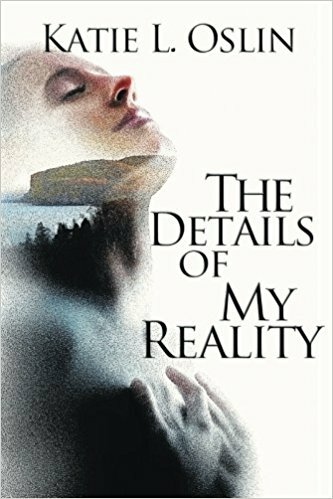 I hope you take the time to read #TheDetailsofMyReality and find out first hand just how heart felt and compelling it truly is! Honestly my own! I think #TheDetailsofMyReality would make an incredible transition to film. The story line is deep enough and the characters are complex enough to make a huge impact on screen. In fact, that is a long term goal of mine. THANKS again for hosting!! I appreciate the comments and questions. Thank you all for interacting and I sincerely hope you will give #TheDetailsofMyReality a read. Interesting cover and great excerpt! Thanks for the sneak peek and giveaway!